Sometimes we do give more priorities to things that are not really necessary to us for instance spending some extra bucks on snacks, coffee among other things. However this doesn't mean that we should always never eat at all. It's more advisable for you to carry some packed lunch instead of buying snacks for lunch remember snacks are usually quite expensive more than other foods. If coffee is your thing, then you may as well obtain a coffee maker and brew your own coffee at home as this way you will be saving a lot of cash in the long run. This tip is more useful to those who normally spend a whole day either at work, in school or among other places. We should always operate on a budget remember even the government does make its own operation budget each and every single year. Therefore it’s always good that you sit down and decide on the amount of cash that you would want to spend within the next 30 days for all your needs. Once you have prepared the budget, then you should also ensure that you stick to it, this will require you to have some discipline. 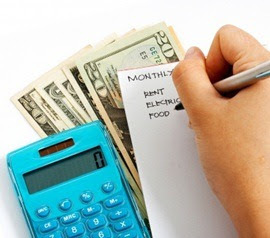 Operating on a budget is very important as it saves you from the embarrassment of surviving on paycheck to paycheck. The more you delay paying off your debts the more interests you are likely to pay. This is because most creditors do charge more interests on delayed payments so as to encourage people to pay promptly. Therefore if you pay your creditors in time then you will be in a position to save your wallet from being deflated more in terms of high interests rates charges. By doing this you will be in a position to remain with extra cash for savings. Manage your debts well, and they won't become too big of a burden. They say life is a journey full of different experiences for instance sometimes you may fall from riches to rags or the other way round. It's therefore important for you to arm yourself with some savings in the bank, savings that may shoulder all your expenses for a period of not less than 7 months. Remember life is full of surprises; you may just lose your job, business or any other source of income due to some unpreventable circumstances. Always train yourself on how to save for any major expenditure you want to incur for instance going on a vacation, buying a car or any other item that is quite expensive. This is better than obtaining ready credits from financial institutions which will only put you into huge debts with high interest rates to pay during these hard economic times. If you are in college, follow these money-saving tips. Insurance covers do protect people from incurring financial loses. If you have a business or any other form of property that is covered then you are likely to get compensated in case you incur some losses as a result of theft, damage among other things. Insurance covers do save people from using a lot of money to reinstate themselves to their previous financial positions before the occurrence of the loss. Research shows that credit cards do encourage impulse buying which is quite dangerous. An impulse buyer is likely to waste a lot of cash on unnecessary items. If you avoid credit cards then you will always feel the pinch of buying impulsively and this in turn encourages you to spend wisely. However if you must have a credit card (for traveling convenience etc. ), make sure you understand credit card benefits, fees & charges before applying for one. Cars are very important machines however they can at times deflate people’s wallets big time. Some of the things that can really cost you when it comes to driving include over speeding, reckless driving among others. It's therefore advisable for you to drive carefully to avoid being slapped with unnecessary fines due to some avoidable traffic mistakes, remember that money which you are giving the government may be put into some other meaningful use. It is a fact that identity thefts are some of the most costly and bad experiences. Apart from that it can also damage an individual's credit score. You should learn how to avoid credit card fraud and identity theft. Some of the ways through which you can protect your identity include monitoring your credit reports, monitoring your accounts against unauthorized transactions and only shopping at credible merchants online. This way you will protect your money from fraudsters. It is very easy for a person to retire broke if they are not watchful. People are always encouraged to save during their productive years as these are the times when they can really earn some income with extra amounts to save. Do not wait until you turn 50 is when you start saving remember at this age you won't be very productive hence less income. The above tips are the most basic and simple money saving tips. Studies are showing that the year 2014 is going to be full of financial crises in most parts of the world,most people are going to get broke if not bankrupt.However if you apply the above tips then you are guaranteed to be safe.